I was attending a workshop last year over at Light Photographic Workshops when Ben Willmore was teaching when I heard a great tip from him about gaffer’s tape. Prior to the class I never heard of the stuff, even though it is quite ubiquitous in the world of photography and even more so in the filming industry. Nevertheless, I’m glad I was introduced to it. If you are not familiar with gaffer’s tape, it resembles duct tape in size and usefulness, only it is much easier to work with and in my opinion, far more handy for photographers for a few reasons. First, unlike duct tape it doesn’t leave a sticky residue behind when you remove it, although it’s adhesive is very strong. Second, it is a cloth based tape instead of plastic which has several advantages – it tears with nice clean edges, it is matte black and non-reflective and it can be used in all sorts of lighting situations (making your own snoot, hold gels, etc…). Like duct tape, it is also “waterproof”. The only disadvantage that I can think of is that it is a bit more pricey than duct tape – some brands sell for upwards of $20 per roll. I like to keep a few spare feet of it in my bag at all times. Because I don’t want to carry the whole roll, I just make 2 foot strips and roll them onto my MTX container (as shown) and just peel some off when I need it. It is a lifesaver when you need it and so minimal when you don’t that it is a good idea to always carry some in your camera bag. What uses have you found for it? I was supposed to keep the container for my MTX tool? ooops! For years I’ve carried gaffer’s tape in my camera bag (and suitcase). A plastic hotel room key makes a great “spool” to wind a couple yards of gaffer’s tape onto. It’s so light and small that it easily “disappears” in your bag. I’m with Dan – I keep an old hotel card key in my bag with just a few feet of gaffer’s tape spooled onto it. Practically disappears in your bag. Gaffer’s tape lives in *every* camera bag, Pelican case or camera backpack that I own. Its like duck/duct tape for usefulness, but infinitely better for camera work, since it holds like a barnacle but leaves no residue on cameras and filters! I have the big 2″ wide roll for studio work, and small, 1″ wide hyper-bright colored rolls from B&H that go on the road with me/easy to see. I’ve even used the day-glo colors from B&H to successfully mark Pelican cases to avoid mix-ups when traveling. 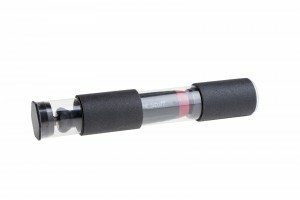 Thanks for the post on this small, inexpensive but vital component of a photographer’s kit bag! The stuff is great. I keep a small roll in the lighting case all the time, and there’s a big roll on the shelf in the studio. Great for masking off softboxes, sticking a speedlite in an awkward position, or for running repairs to gear. Never travel without it. The roll is way too big to carry in my camera bag, so I cover every open surface in my bag with the stuff. I also have some on my tripod legs and on the underside of my laptop. That way I always have it available when the need arises. I wrap a few feet of gaffers tape around the leg of my tripod, and also my light stands. That way I always have some tape close by. For many years I’ve always kept a few film 35mm (anyone remember FILM…?) canisters with 1″ gaffers tape spooled on them in my camera bags. Still have a bunch and keep tape on the outside, ibuprofen or tylenol on the inside. Very handy! Never had a week go by when the tape didn’t come in handy for something in the field. Easy enough to split a 2″ tape into 1″ strips to fit on the film can. A few strips of gaffer tape that I keep on my tripod, fixed a fellow photographer’s shoe. The sole had separated from the rest of the shoe and that tape lasted all day and never came off. Great stuff. Also works to hold Cokin filter to the front of the lens when I have forgotten to bring the holder. Gaffer’s tape is like the force. It has a light side, a dark side, and it holds the universe together. I’ve been using it for years with skydiving photography. It works time and time again pulling pieces off my helmet to hold down wires or a focus ring…you name it. I also have large strips on the tripod like others have mentioned. I recently bought a roll that’s teal in color so I would know who’s been stealing it. It’s great stuff…though not cheap. I am known as the Queen of Black Tape actually – it’s quite the joke in photographer circles. I use it to camouflage a camera from prying eyes when trying to be discrete on the street. I use four small strips of gaffers tape, as insurance, to secure lens hoods to lenses, while shooting above people, such as hotel balconies. Nice one! 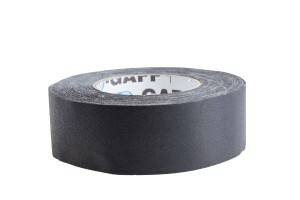 Gaffer tape is absolutely something very useful especially for theatre, film and television productions as well as during live performances and any other kind of stage work use. This is indeed something unique since this is a petroleum-based adhesive that can be easily removed. Battey covers come off stuff, gaffer’s tape keeps them on. Even on my old flip cell phone. Cable TV remote falls to pieces when it hits the floor – gaffer’s tape. A bit on a lens keeps preset focus set. Where do you get gaffer’s tape? I too love this stuff – been using it for years and always buy the chroma green – not for the purpose you normally use chroma green but simply because it is more visible and makes it easy to quickly identify where you have it stuck. One of my main uses is to tape lens focus for night photography so you don’t bump you lens and lose your focus. Also love it because it does not leave residue!! Gaffers tape is great and leaves no residue but is best for short term use. It does get sticky when left for a while especially in hot an humid conditions. In the cold adhesion can be a problem too. I once broke a lever off my tripod and stuck out in the middle of nowhere…so, I used gaffers tape to tape on my LF camera to the tripod…it worked! grat stuff, never travel without it! I typically use Gaff Tapes – check them out at http://gafftapes.com – good prices. I wrap several turns of Gaff Tape on my RRS tripod legs so I always have some with me. Because it is cloth, gaffer’s tape is not waterproof, only water-resistant. Although duct tape is waterproof, I avoid it because it leaves such a mess. I’ve used gallons of alcohol and naptha removing the residue left behind. One of my favorite uses of gaffer’s tape, along with a Sharpie, is for labeling things. It works well on both hard and soft surfaces.